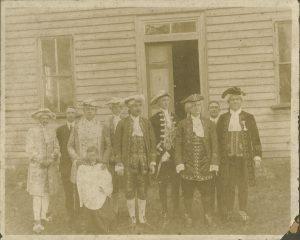 Hundreds of New Photographs and Artifacts from Kings Mountain Historical Museum and Mauney Memorial Library Now Online at DigitalNC! 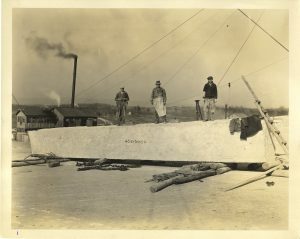 Hundreds of new photos, documents and artifacts have been newly digitized at DigitalNC, courtesy of our partners, the Kings Mountain Historical Museum and the Mauney Memorial Library. These digitized materials are part of a joint project between the two institutions, DigitalKM. Vice President Rockefeller speaking at Kings Mountain High School in 1975 in celebration of the bicentennial. Included in this batch is nearly 600 images and over 50 historical artifacts from Kings Mountain Historical Museum. 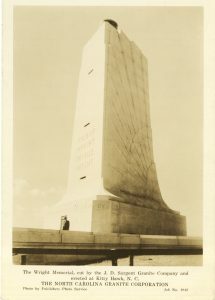 These photos include blueprints for the U.S. Post Office at Kings Mountain, photos from the Kings Mountain Centennial parade and celebrations, school and class photos, photographs of military personnel, pictures of local clubs, bands, and sports teams, and much, much more. Some of the artifacts from Kings Mountain Historical Museum include souvenir programs and other memorabilia from the centennial (100 years), sesquicentennial (150 years), and bicentennial (200 years) anniversaries of the Battle of Kings Mountain. This collection also includes a set of different photographs of military personnel, individuals from Kings Mountain, Trinity Episcopal Church in Kings Mountain, sports teams from the Kings Mountain High School, and much, much more. 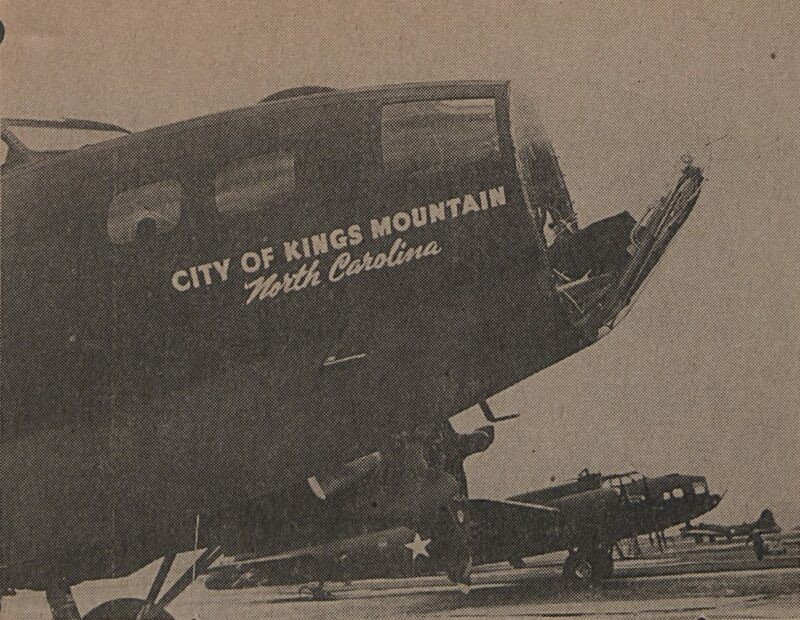 A Boeing Flying Fortress, purchased with war bonds bought by Kings Mountain residents during WWII. 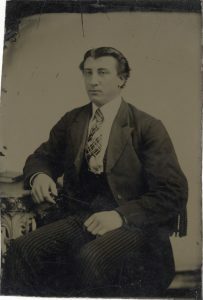 Also included are over 125 photos from Mauney Memorial Library and over a dozen historical objects. 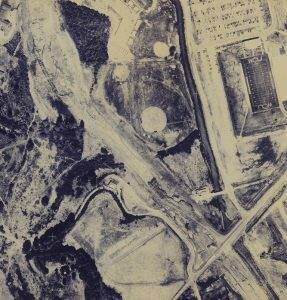 The photos include class pictures from schools around Kings Mountain, photos of churches around Cleveland County, areas and buildings in Kings Mountain, several aerial views of local schools, and much, much more. Among these artifacts from Mauney Memorial Library are a collection of research binders by Bonnie Mauney Summers, which contain hand-written notes and charts of genealogical research on 3 branches of the Mauney family and others around Kings Mountain. There is also a binder of monthly meeting minutes taken by the secretary of the Kings Mountain House and Garden Club, dating from 1956-1963. 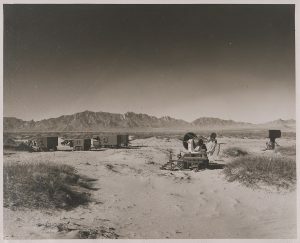 Finally, this collection includes a series of different photographs of areas and people around Kings Mountain, as well as a batch of letters to military personnel sent and received during World War II. 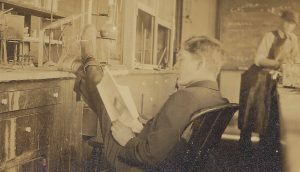 Charles E. Neisler Jr, relaxing in the Davidson College Chemistry Lab, circa 1915. You can learn more about the Kings Mountain Historical Museum by visiting their contributor page or by visiting their website. 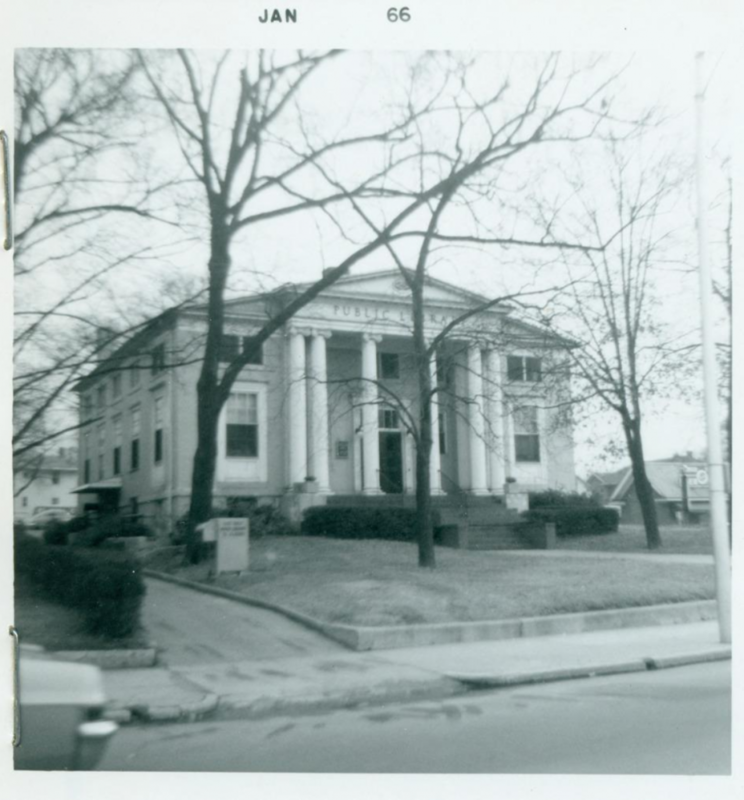 To learn more about the Mauney Memorial Library, click here to visit their partner page or click here to visit their website. 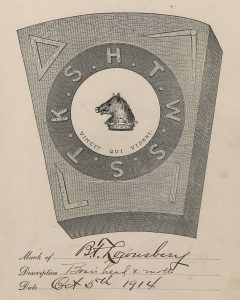 This collection is part of a joint project to digitize materials related to Kings Mountain history. To learn more, visit the DigitalKM website. 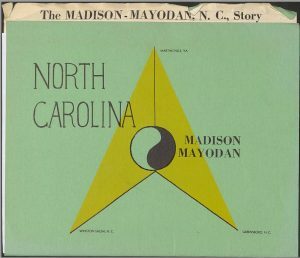 Nearly 75 new photographs have been digitized and added to DigitalNC, courtesy of our partner, Central Carolina Community College. This new batch comes in five collections. 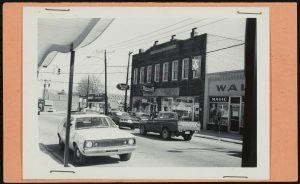 The first contains photos of students and staff lining up and working at the bookstore on campus in the 1960s and 1970s, back when it was still called Central Carolina Technical Institute. The second collection contains around two dozen photos from 1984 of Budd Memorial Court and Budd Hall on the Lee County campus of CCCC. The third collection focuses on the Dennis A. Wicker Civic Center at the Lee County campus, with nearly two dozen photos of students or shots of the building from the 1990s. The fourth contains photos of the Classroom and Fitness Center on the Lee County campus, featuring students and campus views. Finally, the fifth features images of the Guided Studies Building on the Lee County Campus. A shot of the Dennis A. Wicker Civic Center on the Lee County CCCC Campus. 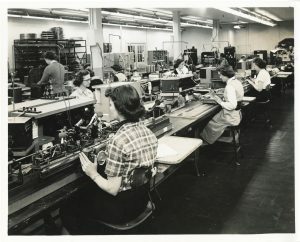 These photos bring yet more knowledge and representation about what it meant to be a student at CCCC throughout the 20th century. To learn more about Central Carolina Community College, please visit their contributor page or check out their website. A sketch of the Battle of Kings Mountain, drawn by Kathryn L. Bolin. 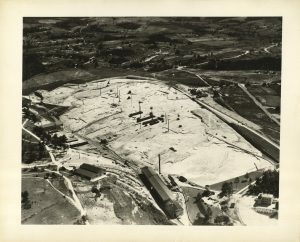 New photographs and sketches of Kings Mountain have now been digitized and uploaded to DigitalNC, courtesy of our partner, the Kings Mountain Historical Museum. 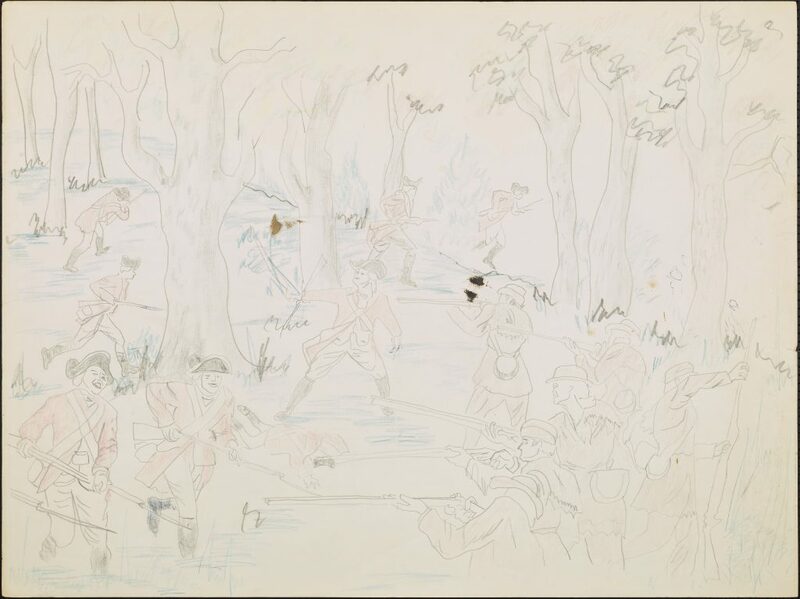 These sketches were created by Kathryn L. Bolin, and depict militiamen and soldiers at the Battle of Kings Mountain. 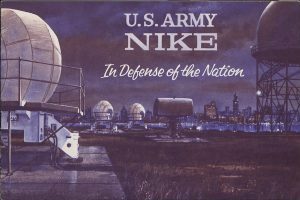 These sketches were designed for the Mural of Battle of Kings Mountain in the Kings Mountain City Hall. 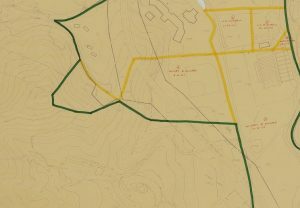 These sketches in particular join the collection of materials on the Battle of Kings Mountain we have already digitized on DigitalNC. In our holdings, we have photographs of the bicentennial celebration of the Battle, materials like programs from that celebration, histories of Kings Mountain, and more. Having these materials in our collection helps complete our understanding of the Battle of Kings Mountain, as well as how we remember it. 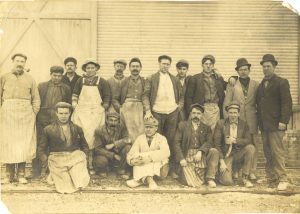 To see more from the Kings Mountain Historical Museum, check out their contributor page here, or click here to visit their website.